Photo: Courtesy of Wheaton College. College is many things, but diet-friendly it is not. The all-you-can-eat buffets and the endless opportunities for guzzling beer just don't jive with a healthy lifestyle. But, that doesn't mean that all is lost as soon as you sign up for higher ed. In fact, there are tons of schools that pride themselves in offering opportunities for students who are looking to shy away from the freshman 15. 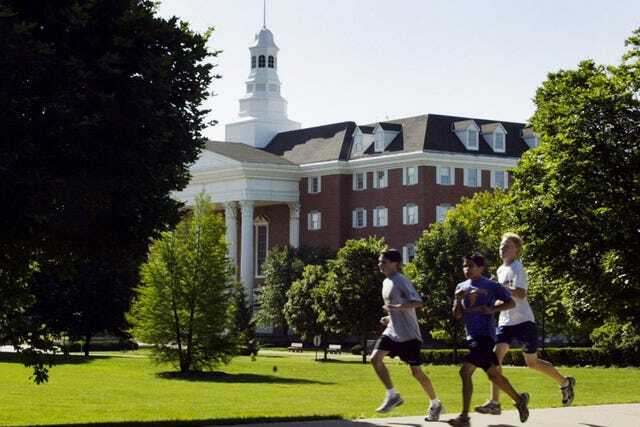 The Daily Beast just compiled a list of the 20 healthiest campuses in the country, and the results will give clean-living enthusiasts all kinds of hope.